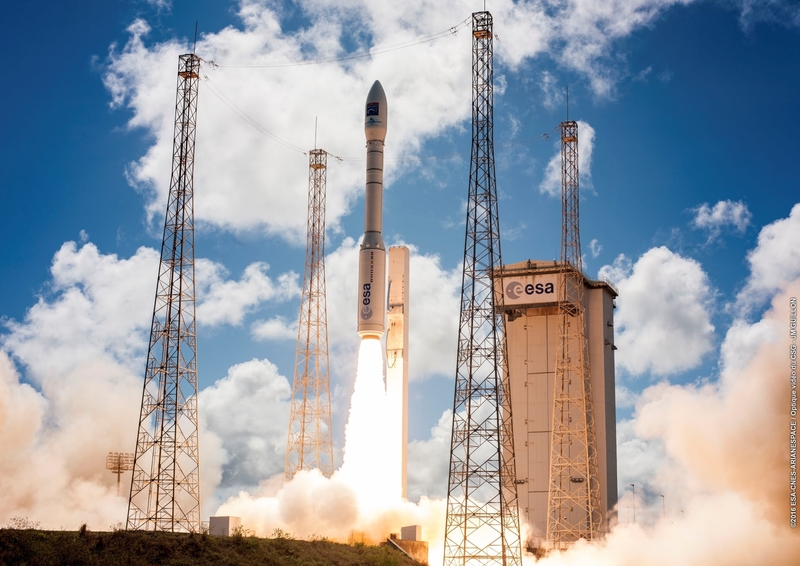 KOUROU, French Guiana — Like an arrow shot into the sky, a Vega rocket leapt off the pad at Guyana Space Center’s Vega Launch Complex (SLV), carrying the Göktürk-1 into orbit. 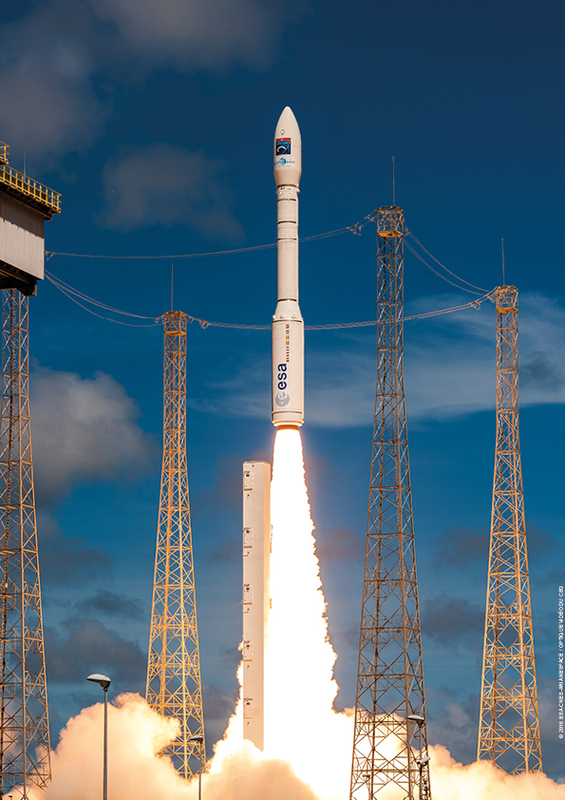 Arianespace’s tenth mission of the year, designated VV08, took off on Monday, December 5, 2016, at 13:51 GMT (8:51 a.m. EST) and successfully inserted Göktürk-1 into a Sun-synchronous orbit (SSO) at 14:49 GMT (9:49 a.m. EST). 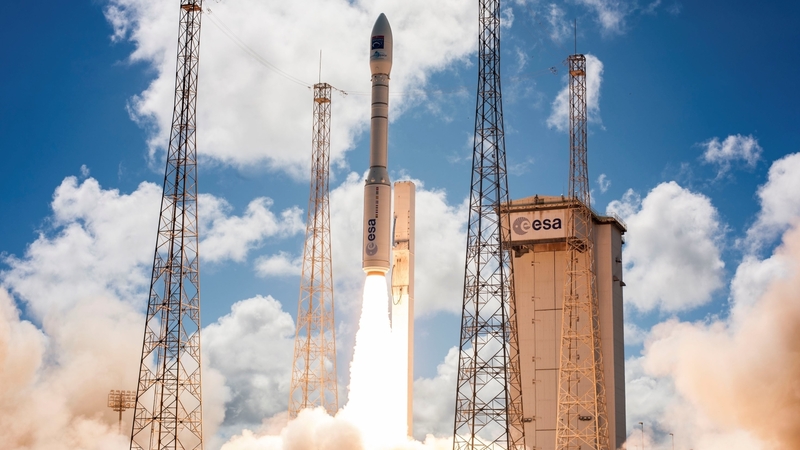 The satellite, Göktürk-1, was built by Thales Alenia Space – a subsidiary of Thales which is a minority owner of Telespazio, an Italian satellite services provider – and is the result of a contract inked in July 2009 between the Turkish Ministry of National Defense and contractor Telespazio. Göktürk-1 is a high-resolution optical Earth observation satellite for civilian and military applications. At T+1 minute 54 seconds, the P80 first stage was jettisoned at an altitude of 32 miles (51 kilometers); one second later, the Zefiro-23 second stage was ignited. The Vega’s second stage is powered by a Zefiro-23 solid-fuel rocket engine, which produces 195,800 lbf (871 kN) of thrust and burns for 1 minute and 44 seconds.